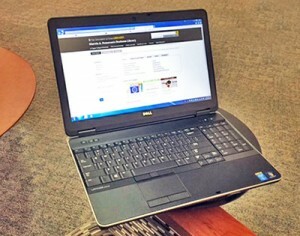 The Pomerantz Business Library has 12 new Dell Latitudes. Software includes Microsoft Office 2013. Laptops have Webcams for use with Skype (included). Users can print with Web printing (http://printing.its.uiowa.edu). University students and staff can use their ID’s to borrow a laptop for 4-hour loan (Library use only).